Whenever an Aussie company starts poking around for oil in Texas, investors hope for the next Aurora Oil & Gas — in the case of Helios Energy (ASX:HE8) that hope is a little more pronounced. For those of you playing at home, Aurora Oil & Gas is one of the more stunning success stories in the ASX oil and gas space. It went from drilling a few wells in the prolific Eagle Ford shale in 2005 to a company sold off to Baytex in 2013 for a whopping $2.6 billion — which is roughly 92 times its initial market cap of $28 million. It was underpinned by a savvy strategy, but more importantly, some great geology. While a slew of drillers in the region try to claim a connection to Aurora, Helios has a better claim than most. Veteran oil hunters involved with Aurora, Neville Henry and Peter Allchurch, were involved in setting up Helios and selecting the fertile ground it finds itself in today. Helios was set up by Henry and Allchurch, but now has experienced oiler Richard He as managing director, who also has form in turning small resources into big deals. He was involved in turning the Halliday oil field in east Texas into a $520 million transaction on the back of 14 fracked wells. Both Aurora and Halliday got tremendous value out of leasing land in oil fields and then essentially playing a real estate game alongside the oil game. It’s a blueprint that Helios (at least in its early guise) appears to be following, and its early results to date suggest that we could be about to see a little bit of history repeating. Its flagship project lies in the South West of Texas, and while it may seem baffling, it’s a corner of Texas that hasn’t been extensively drilled for oil. The company is currently in the middle of drilling three wells at its Presidio project to earn a 70 percent working interest. It has so far drilled two wildcat wells with one of those wells, Quinn Creek 141, flowing 260 barrels of oil and 1345 completion fluid within the space of 168 hours from a single-stage frack. While flowing oil to the surface this early on in the journey is great, it’s only starting to see what the target formation can offer. Crucially, the first two wells in the program were veritcal in nature — but the third well, which it is currently drilling, is being drilled as a horizontal well. The plan to to go to target depth, and then cut in for 1400ft horizontally — giving it much more exposure to the target formation and a greater chance of striking oil. 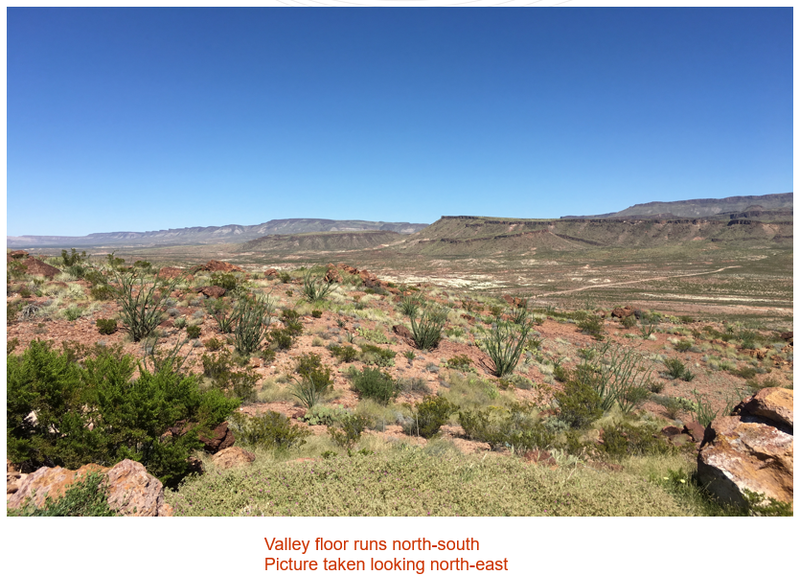 It’s targeting the Ojinaga formation, which it thinks has better porosity and permeability than the prolific Karnes Trough — which underpinned much of the success of oil plays in the prolific Eagle Ford Shale. Given Henry and Allchurch were both involved with Aurora in the Eagle Ford, oil-watchers have reason to believe they know what they’re talking about. While Presidio isn’t the only project on Helios’ plate, it is what’s filling investors with excitement. Helios was trading at about 5c in the middle as last year, but reached as high as 17c as the data from the first two wells started to seep to the market. Right now its shares are in a holding pattern, but with drilling now on the menu there’s every possibility they could go on a run again. Helios recently closed off on a $10.1 million placement, leaving it cashed up and ready to drill. The cash is being used to drill the third well at Presidio, and has also allowed it to complete seismic work to give it more targets to mull over when it gains its 70 percent share. As a result of the seismic, it recently told the market that the target Ojinaga Formation runs across its entire 66,985 acres at Presidio. If it can prove it can produce significant amounts of oil by drilling horizontally into the Ojinaga, Presidio (and by extension Helios) could become anything. It’s following the blueprint of one of the most successful ASX oil stories in recent times; it’s backed by the people involved in that story and; all the early signs are that the rocks could hold even more promise than the rocks which made Aurora rocket. While it’s now drilling one well, who knows where Helios will be in eight years? This content is produced by Star Investing in commercial partnership with Helios Energy. This content does not constitute financial product advice. You should consider obtaining independent advice before making any financial decisions.